An Australian migration agent can maximise your chances of success in your skills, sponsorship and visa application, and can minimise frustration, disappointment and delays. Australian migration agents must be registered with the Migration Agent’s Registration Authority (MARA) in order to provide advice to others about Australian migration law. 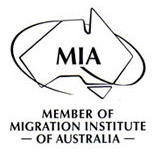 Australian migration agents must comply with the MARA Code of Conduct. When you use the services of an Australian registered migration agent you are dealing with someone who has met the MARA registration requirements, and who holds the necessary immigration law qualifications. An Australian migration agent can maximise your chances of success in your skills, sponsorship and visa application, and can minimise frustration, disappointment and delays caused by a lack of knowledge of Australian immigration law and procedure. However, there are many options regarding employment or investment based visas, study visas, family visas or visas that can be applied for whilst offshore outside Australia or onshore whilst visiting Australia – using a registered migration agent can greatly assist in getting you the best result.